Remaining active as you age is an important part of seniors’ physical and emotional health. After retirement many people look for ways to remain active through part-time work or volunteer opportunities. Seniors bring a wealth of experience and expertise to the work force, and many are still looking for ways to contribute their skill sets or even develop new skill sets. There are many great work opportunities to explore after retirement, but here are three reasons why you should consider becoming a caregiver. 1. Enjoyable Work Environment. For those who want to continue to work on a part-time basis after retirement, work environment is an important consideration. Working as a companion caregiver your main job responsibility is to provide personal and social interaction. Your tasks would include conversation, meal preparation, incidental transportation, calendar and appointment management, and encouraging social engagement. 2. Flexible Schedule. You no longer have to work the 9-5 grind–manage your time and work when you want. Working as a caregiver you have control over your schedule, you can pick and choose the schedule that works for you. 3. Extra Income. Supplement your social security and retirement funds with a job you love. 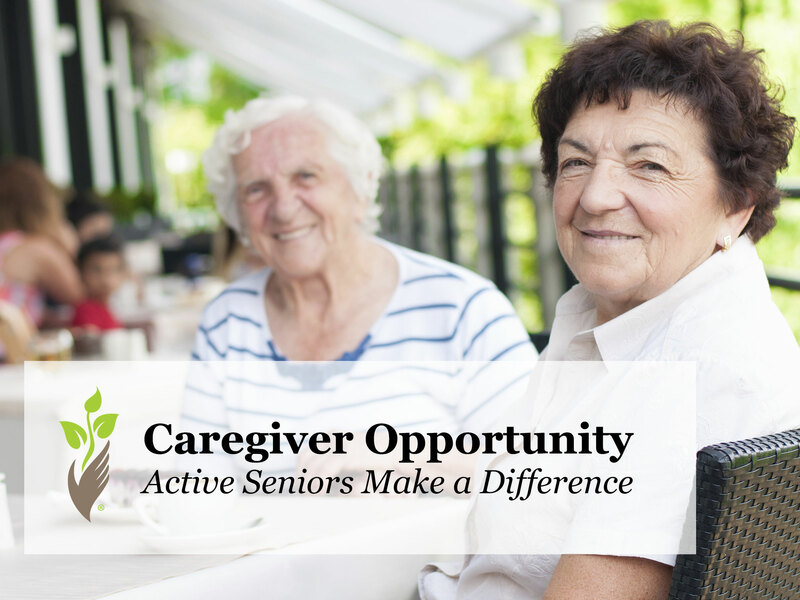 Many caregiver opportunities are paid positions and are an enjoyable way to stay active and supplement your income at the same time. Preferred Care at Home is always looking for kind and compassionate caregivers to join our team. We have found that some of our best companion caregivers are often seniors. Our companion service aims to combat loneliness and bring joy and support through our team of compassionate caregivers and can range from full-time care to respite care. Senior caregivers can make a remarkable difference by being a supporting presence in the lives of our care recipients. If you are interested in learning more about caregiver opportunities with Preferred Care at Home contact a location near you. We would love to have you join our team of dedicated and compassionate caregivers who are committed to making a difference in the lives of others.